The 2018 Ford Explorer is one of Ford’s largest SUVs in the current lineup of new vehicles. Fitting up to seven adult-sized people comfortably, the 2018 Explorer allows you to do just as its namesake implies, explore. So, gather up the whole family and drive away in this adventure inspired memory-making automotive. 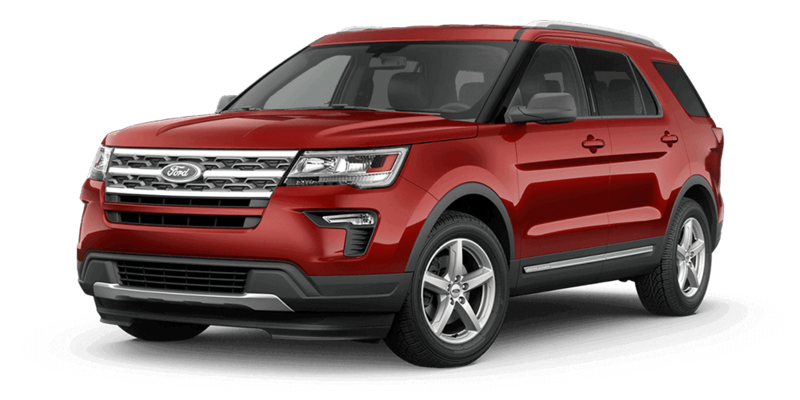 On the outside, the 2018 Ford Explorer is boxy but has a fair amount of eye-catching exterior features such as its grille, lights, smooth roof, and bold curves on the side. The 2018 Explorer is more than outer beauty; the inside is handsome with roomy plush seating and a control center and dashboard that are designed for ideal use. Under the hood, the 2018 Ford Explorer has plenty of power with its line of EcoBoost engines. With that power plus optional four-wheel drive, you can use the Ford Explorer to go anywhere and feel free to bring the boat or trailer. The 2018 Ford Explorer also comes with an incredible arrangement of features, trims, and packages to make it completely synchronized with your life. So, buckle up and get ready to embrace the life of a true explorer, because this ride is everything you ever dreamed of in more ways than one. The 2018 Ford Explorer comes in five impressive trim levels with their own list of luxury features and specs. You can’t really go wrong with any trim level since they are all well-made and stylish, it just depends on what you feel you need personally. The base trim level or the “good enough” trim, starts at $32,140. This trim keeps its impressive looks and comes with a fair amount of features that are likely to satisfy most drivers. The 2018 Ford Explorer XLT trim level starts at $34,175 and can be labeled the “that will do” trim. It adds a few new items such as LED lighting, push-button start, and reverse sensing system. The 2018 Ford Explorer Limited trim level starts at $42,090 and is the “didn’t need it, but I’ll take it” trim. This trim finally includes luxury options such as heated steering wheel, powerful seating, and ambient light to set the mood. The 2018 Ford Explorer Sports trim level starts at $45,950 and is the “power at last” trim. This time comes standard with the 3.5L EcoBoost engine, four-wheel drive, and quad chrome exhausts. Finally, a trim that gets you off the standard path. The final trim is the 2018 Ford Explorer Platinum or the “I’ve never been so happy” trim level starts at pricy $53,950. Besides getting everything the other trims offered, you will also now get a twin-panel moonroof and premium Sony sound system with crystal clear live acoustics. The 2018 Ford Explorer features acoustic-laminated windshield glass that becomes the gateway into its fabulous cabin. In comfort and convenience, this model of the Ford Explorer spares nothing. A cabin this large, quiet, and well-featured will only encourage drivers to make it a second home. The standard seating is cloth and fits seven easy, but you are only an upgrade away from stylish heated leather seating with exceptionally comfortable quilted inserts. The only reason you wouldn’t want these is that you are scared you may never find such a luxurious seating option again. The 2018 Ford Explorer also comes standard with an air filtration system, climate control, and rear auxiliary climate control to get it just the way you like it during any season. As for the technology, the entertainment is pretty fair, but it only makes it more tempting to upgrade to higher trims for the full 2018 Ford Explorer experience. Standard entertainment is a USB port and an MP3 compatible six-speaker radio. Upgrade, and you can get a media hub with USB, 12v powerpoint, premium Sony sound system, SiriusXM satellite radio, Wi-Fi hotspot, and voice-activated navigation. Talk about tempting. The 2018 Ford Explorer offers three engines to boost its performance to best in class status. It also offers impressive towing ability, curve control, a Terrain Management System, and six-speed SelectShift automatic transmission. The 2.3L EcoBoost engine contains a desirable 280 horsepower and 310 lb.-ft. of torque. That being said, this engine is only an option when you invest in the Ford Explorer 4WD feature and the Class II Trailer Tow Package. The 3.5L twin independent variable camshaft timing V6 engine delivers 290 horsepower and 255 lb.-ft. of torque. Variable control of valve cam timing is all about optimizing your performance to fit every driving conditions. The 3.5L EcoBoost engine with killer 365 V6 horsepower and 350 lb.-ft. of torque, it combines turbocharging and direct injection. Standard in the Explorer Sport and Platinum trim levels you will receive this engine along with amazing features like 4WD with the Terrain Management System and Hill Descent Control. Speaking of the Terrain Management System, this system allows you to overcome snow, gravel, sand, and grass by simply changing the settings to fit the path you need to travel. Nothing is stopping your adventure when you’re with an Explorer. The 2018 Ford Explorer can be described as both clean and dynamic. The way the front is designed is so powerful and sleek your eyes sometimes have difficulty staying in one place as they jump from the uniquely shaped LED headlamps to the bold indents. The grille by itself is probably the most handsome feature you have ever seen on an SUV as it becomes the one exterior feature that completes the whole perfectly painted portrait. At the mention of paints, the 2018 Ford Explorer comes in nine attractive color options from the distinctive Cinnamon Glaze and Platinum Dune to the metal-savvy Ingot Silver and Shadow Black. Overall, the 2018 Explorer demands attention, and it was crafted to get it. Come visit us at DePaula Ford! Ford is known for its heavy hitters and a large variety of substantially engineered vehicles. “Built Ford Tough” has been a commonly referenced slogan for over a decade now. Notoriety to that extent displays a sense of resoluteness that cannot be argued. In the automotive world, Ford has always stood levels above the rest when it comes to knowing what people want, and how to make it. At DePaula Ford every day is a new adventure in helping the world find the perfect modes of transportation. Parents running carpool, new drivers getting their first wheels, a business worker looking to get show off, and rough riders who need a whole lot of power can all be served with the greatest consideration and satisfaction here. 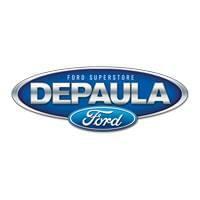 Cars, SUVs, and Trucks all manufactured and certified by Ford can be found at DePaula Ford Dealership.